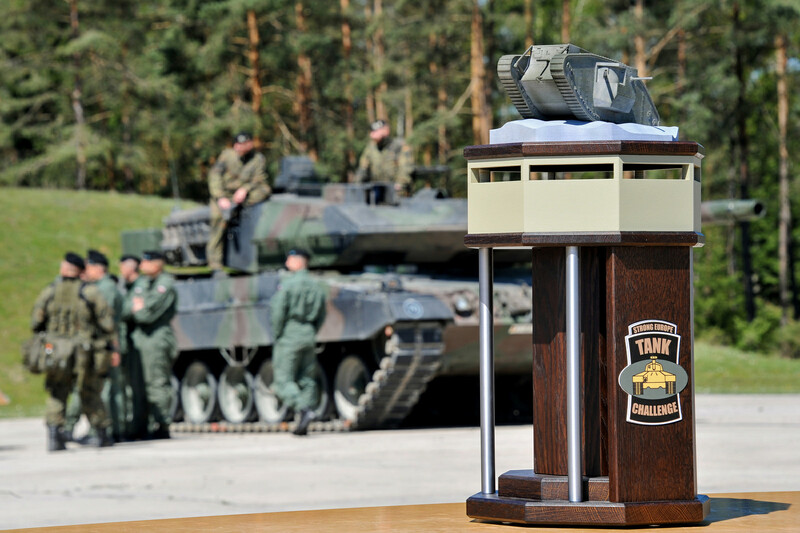 Currently the Strong Europe Tank Challenge 2016 is under way (from 10th to 12th May) It's the first competition under the name, but follows the tradition of the Canadian Army Trophy (CAT) competition of the Cold War or the Russian Tank Biathlon. The competition is held in Germany at Grafenwöhr. Participating are the Danish Army using the Leopard 2A5DK, the German Army with the Leopard 2A6, the Polish Army using ex-German Leopard 2A5 tanks, the US Army with the M1A2 SEP and the Slovenian Army using their current version of the M-84. The Italian Army has been said to also take part in the challenge, but their Ariete tank wasn't presented at the photoshooting on 8th May nor in the video recap of the 7th Army Joint Multinational Training Command of the US Army. This might indicate that Italy has withdrawn from the competition or the Italian tanks simply were delayed or arrived at a later point of time. The Strong Europe Tank Challenge is a competition between several tank units stationed in Europe. In the challenge, tanks have to fullfill a number of tasks such as shooting targets at different range stationary and on the move, while time and accuracy are taken into account. Based on the results and some further rating pattern, the winner is chosen and given the trophy. PS: The Italian Ariete arrived at a different time, it's, also taking part in the Strong Europe Tank Challenge 2016. News just In: Germany Claims Trophy in Strong Europe Tank Challenge!